Tucked away in the wooded surroundings of Williamsburg, your new apartment community offers the right balance of natural beauty and access to all the conveniences you need. 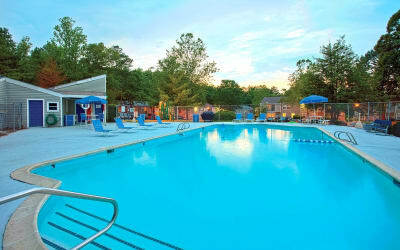 Whether you’re looking for a day at the pool or playground with the kids, you’ll find it at Woods of Williamsburg Apartments. Our team is dedicated to helping you live the lifestyle you want, including by providing convenient and helpful extras such as 24-hour package lockers. Use our community laundry facility to finish up your chores close to home, then enjoy a drink from our resident coffee bar. Our attractive Williamsburg, VA, apartments in studio, 1, 2 & 3 bedroom floor plan options provide you and your family exactly the pet-friendly home you’re looking for. You’ll love your spacious walk-in closet to store all your fashion favorites, and you’ll appreciate the in-home air conditioning on those warm summer days. Enjoy fine living in your new Williamsburg, Virginia, apartment home at just the right price. Contact us to schedule your personal tour of our Williamsburg apartments.